Today if you hear the words “bully” and “President” in the same sentence a certain image may leap to mind. 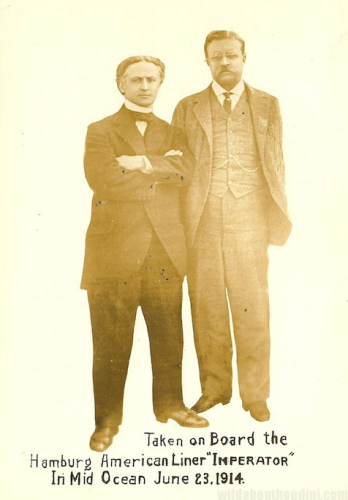 But for our 26th President, “bully” did not mean the ability to push people around, it meant “excellent” or “grand.” When Theodore Roosevelt described the White House as a “bully pulpit” (coining the phrase), he was referring to it as a grand stage for promoting legislation to improve American society. …Father Talmage read the litany of committal. Lieutenant Otto Raphael, Roosevelt’s favorite Jewish policeman, muttered his own burial prayer in Hebrew. 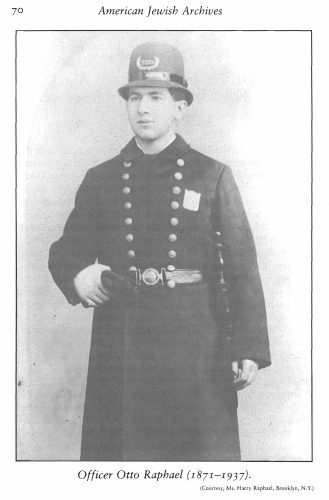 Thanks to a wonderful article by Nancy Schoenberg, writing for the American Jewish Archives, I learned that when Theodore Roosevelt became police commissioner in New York, he encouraged Otto Raphael to join the force as part of his police reform efforts. Raphael came to Roosevelt’s attention when Raphael heroically ran into a burning tenement building to save its residents in 1895. For Roosevelt, Raphael was destined to be more than a symbol of the type of courageous, physically fit and mentally sharp officers he wanted to recruit, but also become a lifelong friend and sparring partner (you may recall that Roosevelt enjoyed boxing). 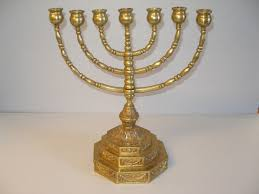 Another surprising link is this menorah, one of a pair that TR inherits from his mother. 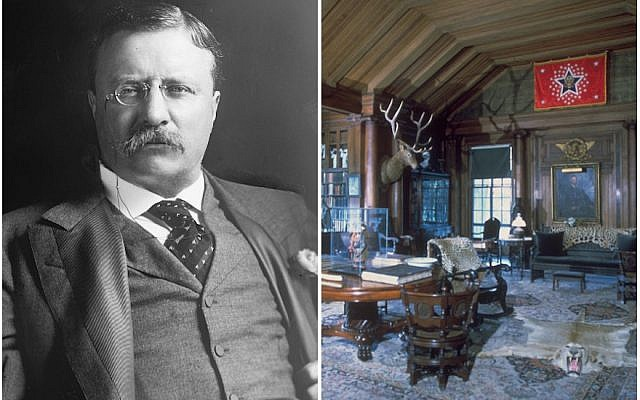 Just about every national Jewish publication seems to have an article on these surprising artifacts put on display at the Roosevelt home at Sagamore Hill in Long Island. No one seems quite sure why the Roosevelt family received these menorahs (from a non-Jewish family) and why they gave them prominence in their home. It did remind me of my own personal connection to TR though. In 1988 we were living on the C.W. Post campus, just a few miles from Sagamore Hill. Having named our daughter “Anna Eleanor” in honor of TR’s niece (FDR’s wife), we thought it would be a good idea to give her an early connection to the Roosevelt legacy. She was only 3 ½.
Bully for you Anna. And bully for you, President Theodore Roosevelt. In a lecture at JMM in 2014, Lincoln scholar Harold Holzer pointed out that Abraham Lincoln was the first president honored by a kaddish prayer, but that prayer was offered in synagogues not at the gravesite.